Roger Ebert hailed it as "a masterpiece ... the Western you should see if you only see one Western," and in honor of its 50th anniversary, Fathom Events is bringing the original True Grit back to movie theaters this May for just two days as part of the yearlong TCM Big Screen Classics series. The film will be accompanied by specially produced introductory and closing commentary from TCM Primetime Host Ben Mankiewicz. Known by many movie fans as the film that finally won an Oscar for screen icon John Wayne, True Grit begins when ambitious but naïve teenager Mattie Ross (Kim Darby) sets out on a mission to avenge the murder of her father. On her way, she hires Rooster Cogburn (John Wayne, in one of his most recognizable roles), an aging town marshal who has a reputation for having "true grit." Their journey to catch the outlaw responsible for her father's death proves more dangerous than Mattie ever imagined, but along the way, she learns that she may have more courage than she ever thought. Also nominated for Best Original Song, True Grit is a classic Western about justice, loyalty and what it takes to truly have an unwavering bravery known as "grit." 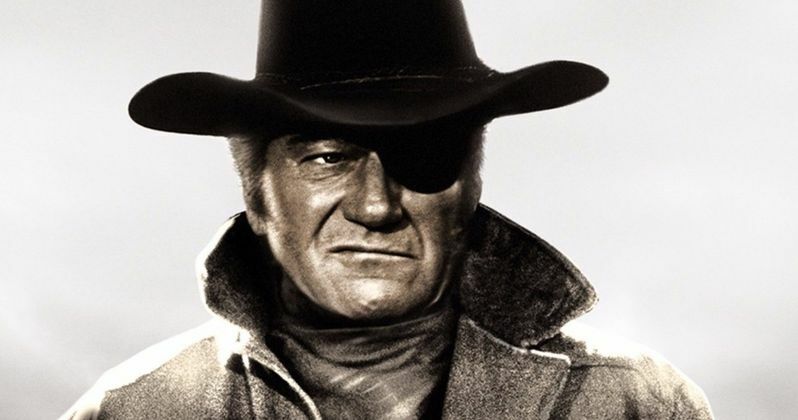 Fathom Events, Turner Classic Movies and Paramount Pictures will present True Grit on Sunday, May 5, 2019 - 1:00 p.m. and 4:00 p.m. (local time), and then again on Wednesday, May 8, 2019 - 12:00 p.m. and 7:00 p.m. (local time. Tickets for True Grit can be purchased at www.FathomEvents.com or participating theater box offices. Fans throughout the U.S. will be able to enjoy the event in more than 600 movie theaters through Fathom's Digital Broadcast Network (DBN). For a complete list of theater locations visit the Fathom Events website (theaters and participants are subject to change). You can take a look at the rest of the year's line-up, which includes some can't-miss classics back on the big screen for a limited time only. So far this year, we've already seen The Wizard of Oz return to theaters in January, followed by My Fair Lady, To Kill a Mockingbird and Ben-Hur. Gone with the Wind also recently had a mini-revival which broke a few box office records in its return. Along with True Grit, here's what the rest of the line-up looks like.